Let’s talk about music next. The music for the previous Smash Bros. titles was truly amazing, but the music for Smash Bros. Brawl is something else entirely. You think we went overboard? Actually, the department that handles contracts and copyrights said this game has thirty games worth of music. Naturally the game includes songs from various games, as well as some unexpected collaboration. This made negotiating the rights pretty complicated. I know it must have been extremely difficult, but because of your efforts, the game will be a blast! Well, I hope the players will enjoy it too. Still, can you tell me how the volume of music swelled to this level? I’ll try. 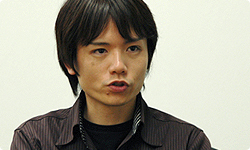 Traditionally, the music for the Smash Bros. series was produced by musicians taking music from other games and incorporating it into Smash Bros. One song per stage was another fundamental premise. For Super Smash Bros. Brawl, however, we decided to make several songs for each stage. Simply put, we made this change in terms of the increased fan base. Take the Mario games for example. Some of our players have been playing the Mario series since Super Mario Bros. for the NES, while others started playing with the release of the Super NES. Others started playing on the GameCube. Therefore, we figured hit songs might differ depending on the player. Right. Of course this meant that the number of songs would be several times that of its predecessor. Yes it would. Roughly speaking, how many songs are there all together? It’s not that we planned that many from the start, it just ended up that way as a result of us making as much as we could. We did, however, plan on preparing a couple of songs for each stage. 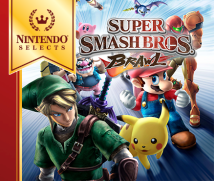 Additionally, as the production framework for Super Smash Bros. Brawl requires a lot of outsourcing, staff members kept saying “maybe we should have so-and-so do this song.” With the songs, I had the arrangers choose a song from a pre-selected list. And the songs that came from that work ended up in the final game. I suspect the fact you got to know several distinguished video game musicians by working as producer for the Press Start –Symphony of Games- concert for the last several years also had a considerable impact. It did. I was able to talk to my colleagues on the set and ask for some help.